Pineapple gum syrup, that is: pressed pineapple mixed with organic cane sugar and gum syrup. We recently got some at the restaurant and I’ve been wanting to mix with it. It used to be in the Haus Alpenz portfolio, but now you can buy it direct from small hand foods. The back label promises a cocktail with a “silky, lush mouthfeel and the bright acidity of fresh pineapple”. It delivers. The gum syrup is rich, so I wanted to mix it with something spicy and something earthy. A key ingredient in Pisco Punch (2 oz Pisco, ¾ oz fresh lemon juice, ¾ oz Pineapple Gum Syrup, shaken and strained), I think this gum syrup will prove pretty versatile. Today’s inspiration was one of my favorite things that contains pineapple – fruit salsa. 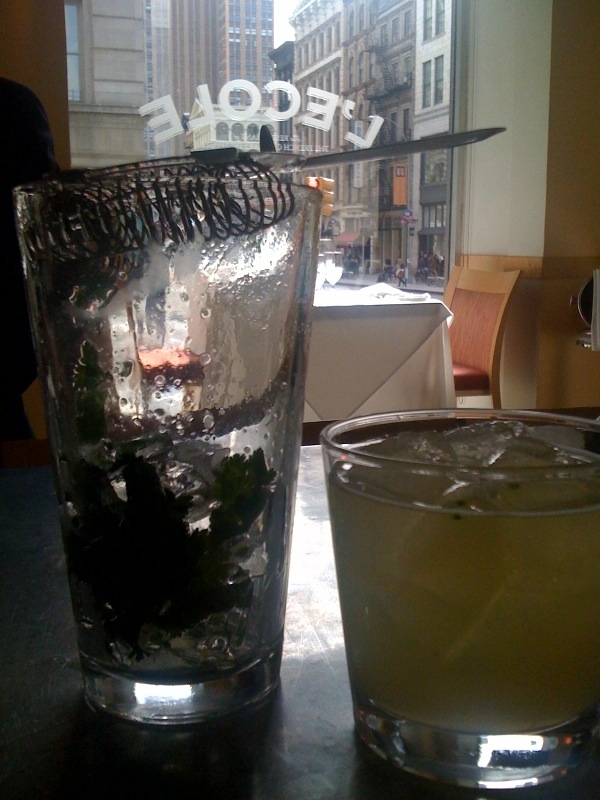 I muddled fresh cilantro with lime, salt and pineapple gum syrup. Tequila is a natural salsa partner, so that went in next. While I do think something hot spicy would be good with this stuff, I opted instead for earthy spicy with Domaine de Canton. Muddle cilantro with gum, lime and salt. 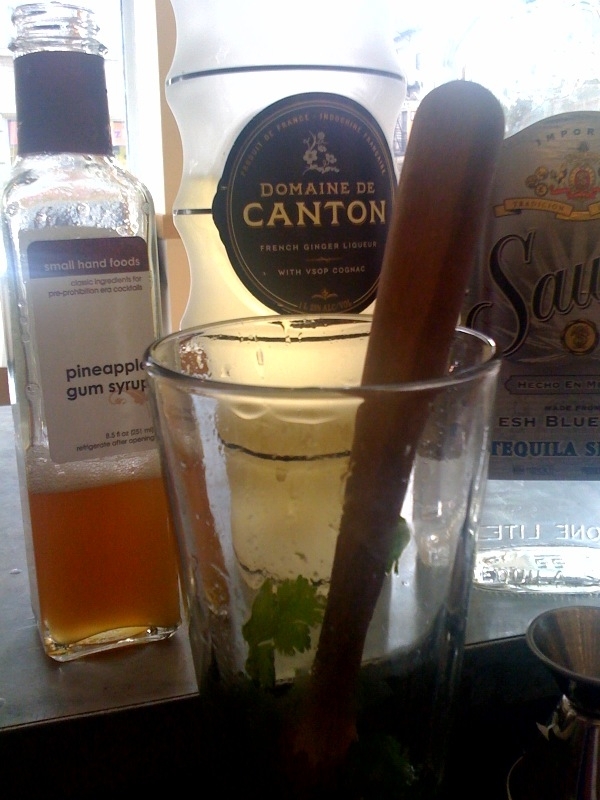 Add ice, tequila and Domaine de Canton. Shake and serve on the rocks. I chose Yellow #6 because there are 6 ingredients, if you count ice and also because another term for it is “sunset yellow”. It may or may not lead to hyperactivity.